I'm trying to unsubscribe from your mail list for days, but without success. It is not normal for me to receive 15, sometimes 30, of you daily. Note: This conversation was created from a reply on: Chef Madison Cowan. You can set your e-mail to recognize it as spam. You could file a ticket through Get Satisfaction To Sprinklr. Sprinklr help desk handles that stuff. Have you first tried to manage your email notifications in GS? There is a glitch, at least for me, since, in the second table, IMDb is ticked off but I am receiving the new topic notifications anyway (as I wish to). In "Account information" you can deactivate it, so probably it will stop sending you notifications, and you can reactivate it when you need to. In the last resort, you can delete your account but maybe this is not what you want to do. Vince, My other Get Sat account which is deleted still gets e-mails at my other email address. Ed, what is the status of that account: deactivated? Did you consider deleting it? It IS Deleted. But the mail keeps-a-comin!! More seriously, how can such a situation prevails for so long? Are these guys serious about their business? 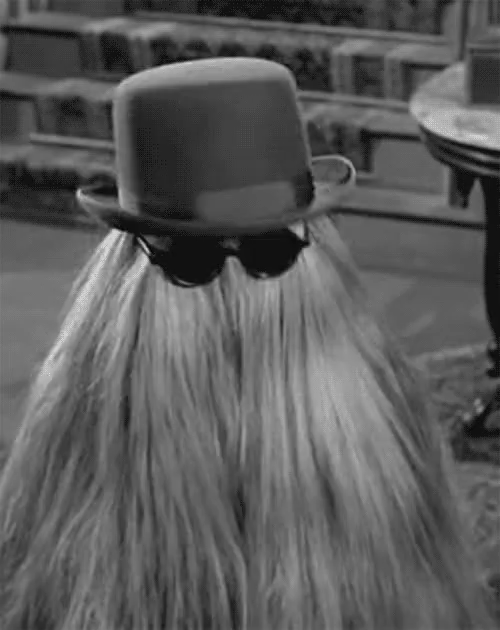 Cousin IT from the Addams Family? I'm curious to know what can be done about the situation concerning Joe Rennzette. I do not understand what obstacle he is exactly facing. He will not really tell us much about it, only that it is "impossible" to be liberated from "this" site, going so far as to chime in on topics of a creation other than by his hand. What is going on? I hope some IMDb staff can forward this reponse to you: sorry to have to say that your answer is useless as it simply does not work! Ed have shown above that he still received notifications for a deleted account!! As a client of GS or whatever suplier is behind it, IMDB should lobby more than hard to get it to behave as a XXIst century forum. Vincent thanks. Don't know why my response was not to be believed?